explore where God’s power can take you. It promises to be an exciting week with Bible stories, crafts, games, and fun skits! Watch for registration beginning in April. 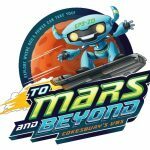 We need your help at VBS! information. Registration deadline is May 9th. Faith Formation Classes for Grades 1 – 5 will have their final session this Wednesday, April 24th, beginning at 6:30pm. At 7:15pm, all students in 1st – 5th Grade will gather in the Cafeteria for ice cream treats. Family members are invited to join us to celebrate our awesome year! Parents, plan on picking up your children in the School Cafeteria. our programs, contact Kathy at khejna@ourladyofthelake.com. The next session of Edge is on April 24th, from 6:30 – 7:45pm. All 6th – 8th graders welcome. Our final session for the year is May 1st. **All Service Hour, Faith Enrichment, and Sponsor Activity Forms should be submitted by the end of the day April 24th.  April 27th: Required NET Retreat for all candidates from 10:30am – 6:00pm. Registration begins at 10:00am. The final hour retreatants will attend the 5:00pm Mass, during which we will have a special Rite of Sending prayer for those who will be Confirmed in a few weeks. Guatemala Mission Trip ¿Entiendes este? Perfecto. Put those Spanish skills to good use by joining us on our Mission Trip this summer from July 16th – 24th. There are still a limited number of spots available. The Mission Trip offers a youth track open to all those currently in 9th grade or above, as well as an adult track. Apply online or email Michelle Boris for more details at mboris@ourladyofthelake.com.